Old Slate Farm is a cut flower + katahdin sheep farm in Knox county, Ohio. We strive to grow and design with the most coveted flower varieties – both timeless and unusual – for florists, weddings, and events. The caretakers of the farm are Katie and Brad Carothers, who together maintain the gardens and flock. I’m Katie, the lead designer and flower grower at Old Slate Farm, where I live with my husband, Brad. Always curious about nature, I pursued a degree in botany, and combined that knowledge with an interest in design, creating our little flower farm and wedding floral studio. I’m obsessed with finding and growing the most unique and beautiful flowers the world has to offer. I want your flowers to reflect you, your story, and leave an impression on your day. I believe that good design also means ethical design. We purchase flowers and supplies from other small farms and businesses, shy away from the use of floral foams and other single-use plastics. When Brad and I aren’t working, we can be found cooking together, watching sheep graze at sunset, planning our next adventure, spending time with our dogs. In 2019, we will begin offering on-farm workshops focusing on growing and designing locally. Click here to learn more about our spring and early summer offerings. Our flower stand will be located at our farm, 7510 Granville Road, Mount Vernon, Ohio 43050. Opening mid- May, we will sell tomato and flower plants, and begin stocking mixed bouquets of our flowers in late June. We will be open Thursday - Saturday, 9AM - 6PM. 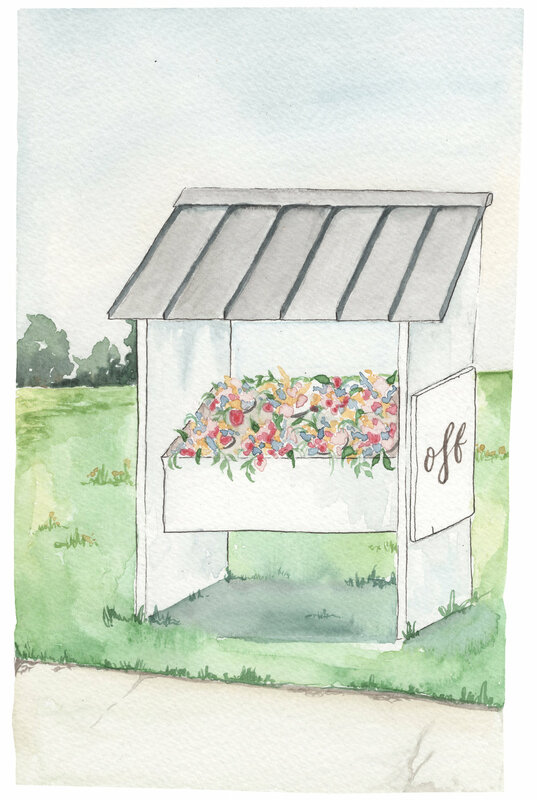 The flower stand is cash only, self - serve, and operates on the honor system. Click HERE to learn more about our NSIP-enrolled, parasite resistant flock of Katahdin sheep. We frequently have high-quality breeding ewes and rams for sale.